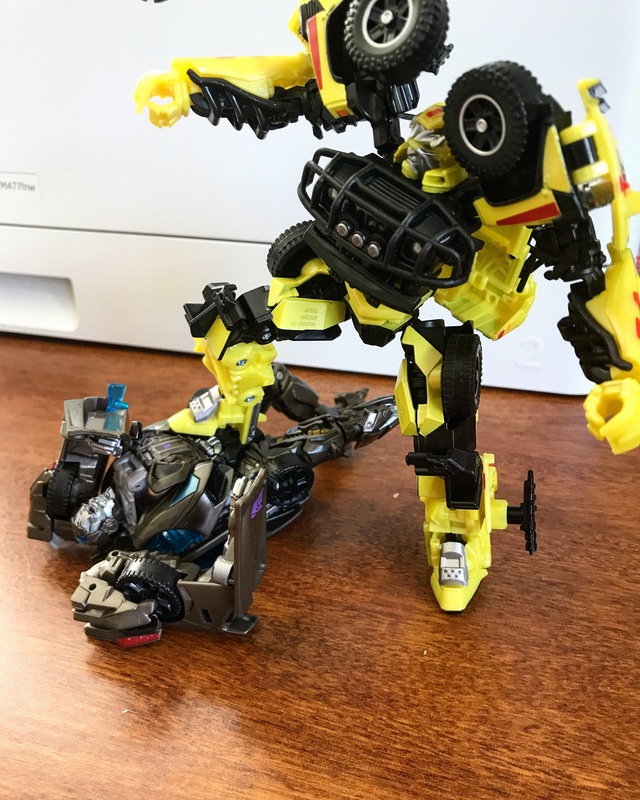 Well the best way to get the bitter taste of TLK out of my mouth would be to forge on with some movie toys, you know, stuff from the Movies that doesn’t make my blood pressure rise. 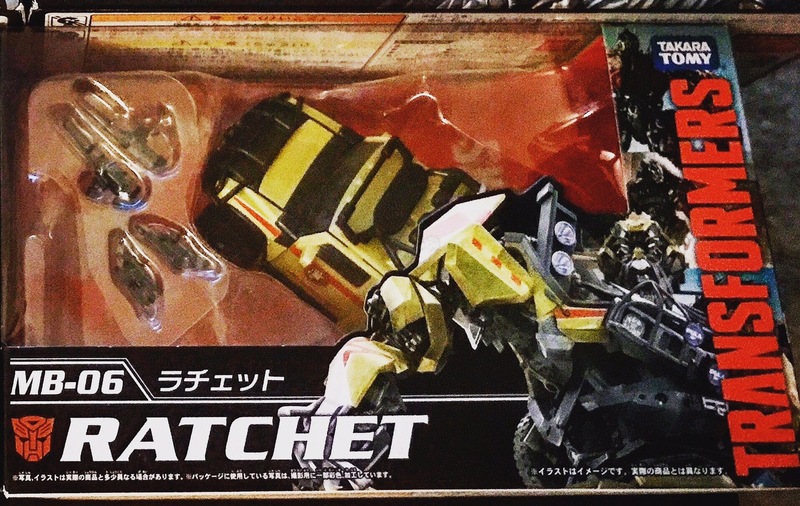 Speaking of which, here’s Ratchet! Takara’s “Movie the Best” line is both a funny Engrish title and also kind of accurate. 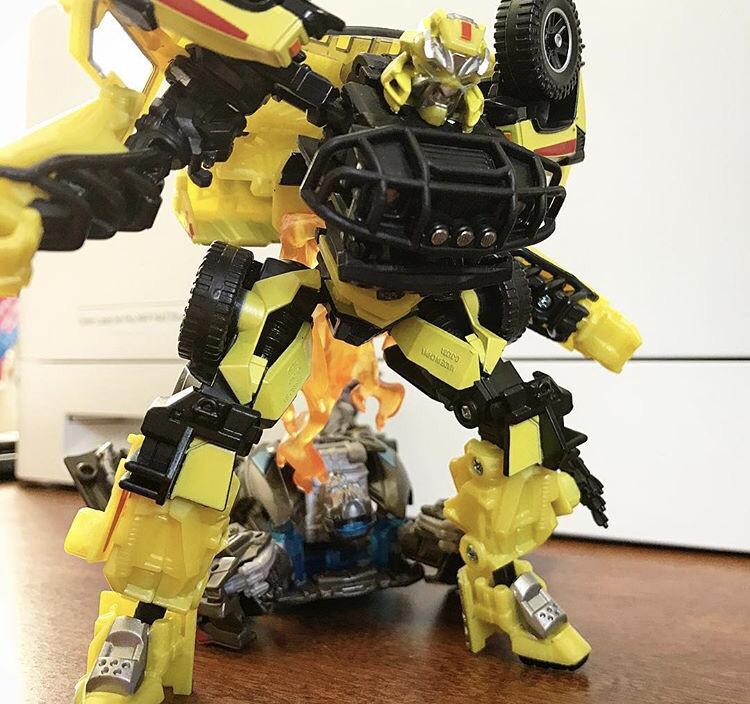 They’re taking the best figures from specific movie characters and giving them a tremendous make-over. I picked up the whole line at Petecon so we’ll take a look at each one. 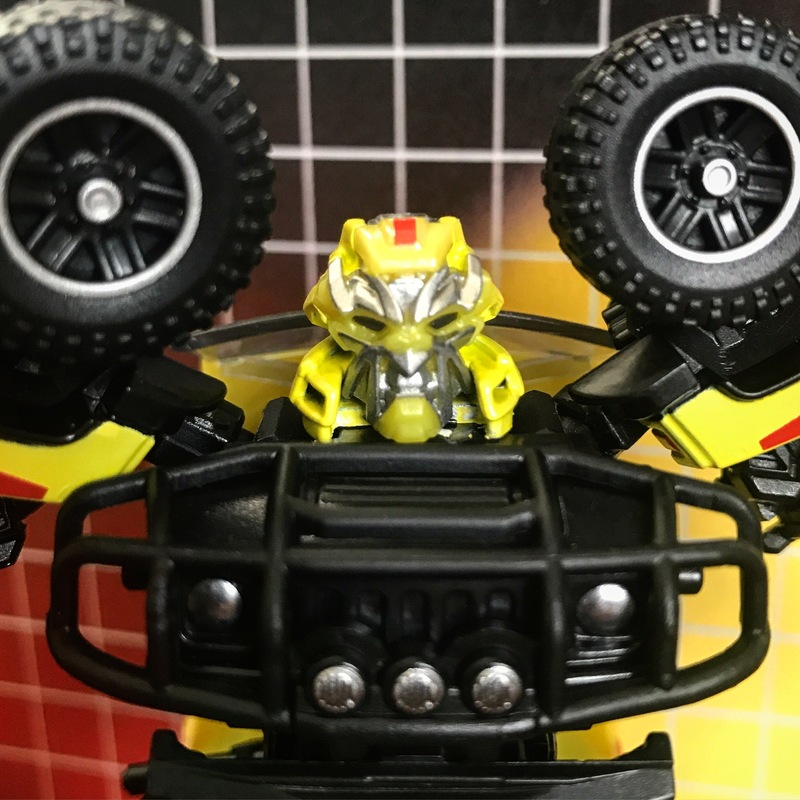 As you can see with Ratchet here, the paint apps are off the chain, with his head looking almost entirely screen accurate. The light piping, which I completely failed to capture here (idiot…) is bright and works really well. 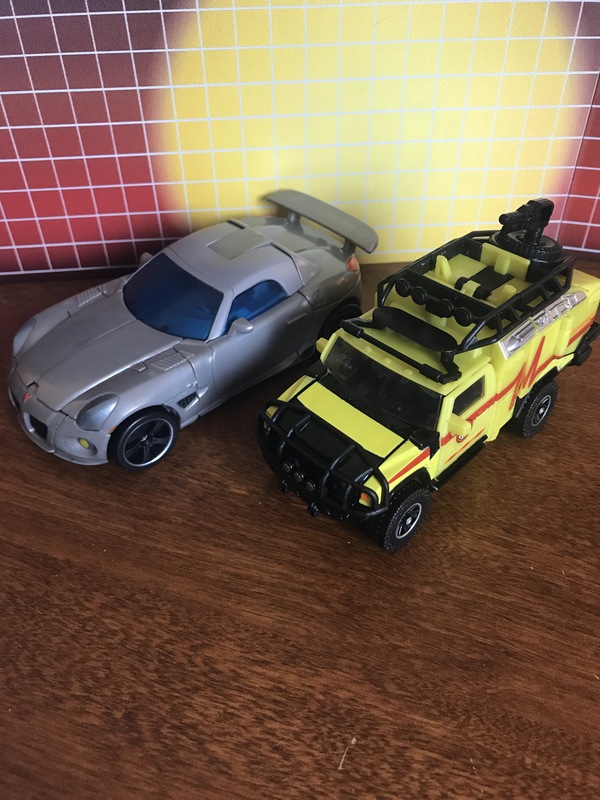 This the deluxe class sized Ratchet so he works really well with the rest of the deluxe sized figures. 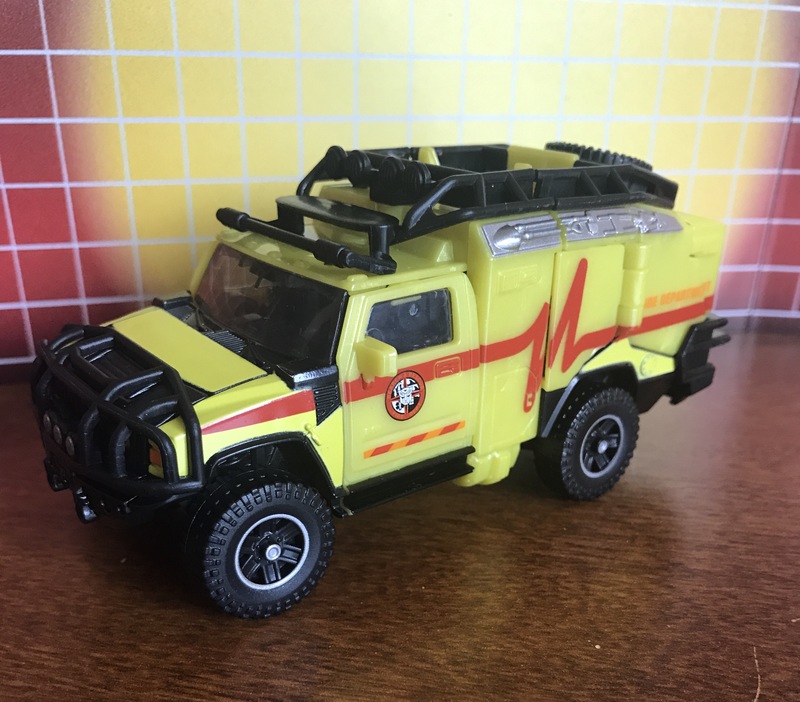 His rescue vehicle mode has gotten a nice make over too, with ample details painted in, painted rims, headlights, basically the works. He’s pretty. 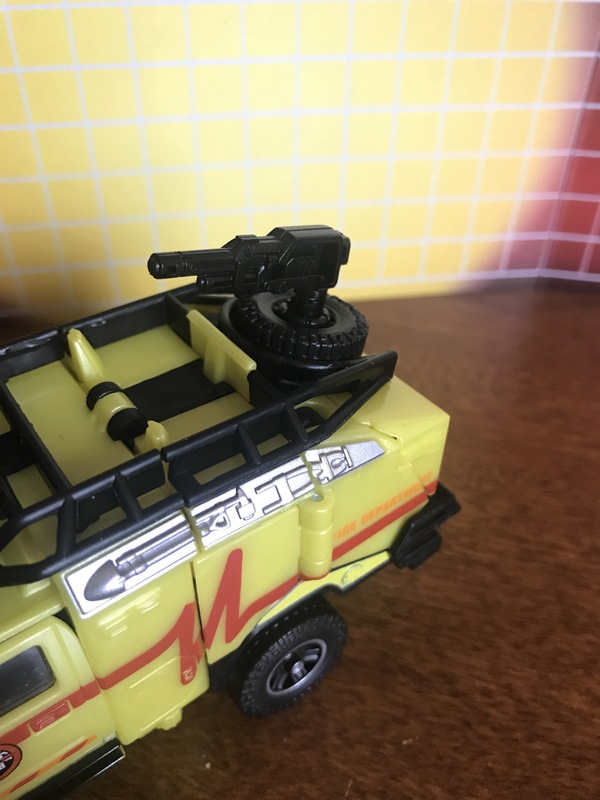 He comes with two small missile clusters that peg in and two small machine-gun-like weapons, one of which can peg into the roof…for rescuing…I guess. 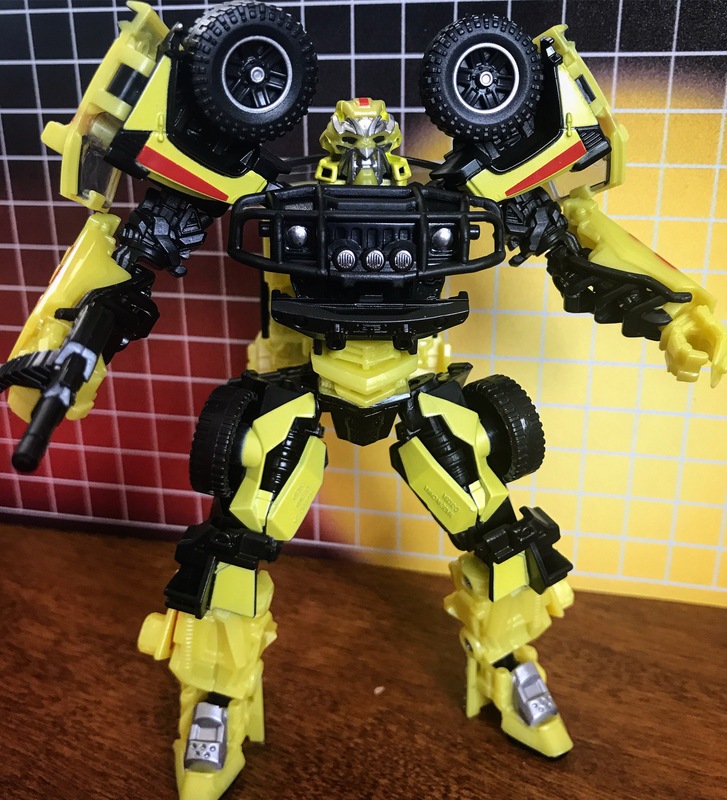 My only gripe would be that I wish the guns were either painted or molded in the same yellow as his body so they would match a bit better when he’s using them. 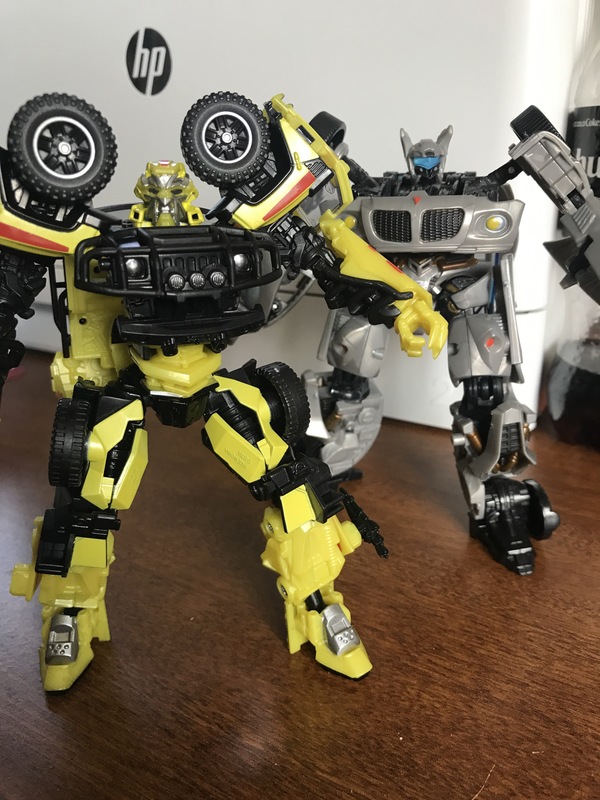 Over all he’s gorgeous, has a fun transformation and I’m thrilled to get the chance to do a more…”abridged” version of the movie-verse collection with these guys.